Disclosure: I received a beautiful tobacco leaf tray as a gift from Everywhere Society as part of their Macy’s Heart of Haiti initiative. All thoughts and opinions expressed are my own. With Thanksgiving in just two weeks, gratitude is on the mind. As I head into my first Thanksgiving as a single mother, I am overcome with the amount of things I am truly thankful for this year. Three healthy, resilient and loving boys (two of the human kind and one of the canine kind). A slew of friends, new and hold, who have shown more love and support than I ever expected. A great new place to live. A successful business that is my passion. Amazing trips and opportunities. I could go on an on. I cannot think of anything I truly want or need that I don’t already have right now. When I was in Nicaragua earlier this year, I experienced poverty at a level that I had never seen before in person. I was told it was the poorest nation in the western hemisphere second only to Haiti. This January marks the five year anniversary since the devastating earthquake shook Haiti and caused catastrophic damage in an already third world nation. Thinking about the circumstances in these countries keeps things in perspective when I’m having a bad day. We have so much to be thankful for here in America. Haitian artisans make tobacco leaf trays. Photos provided by Everywhere Society. Macy’s went to Haiti shortly after the January 12, 2010 earthquake and realized that, despite the devastation, there was an artist community that existed. 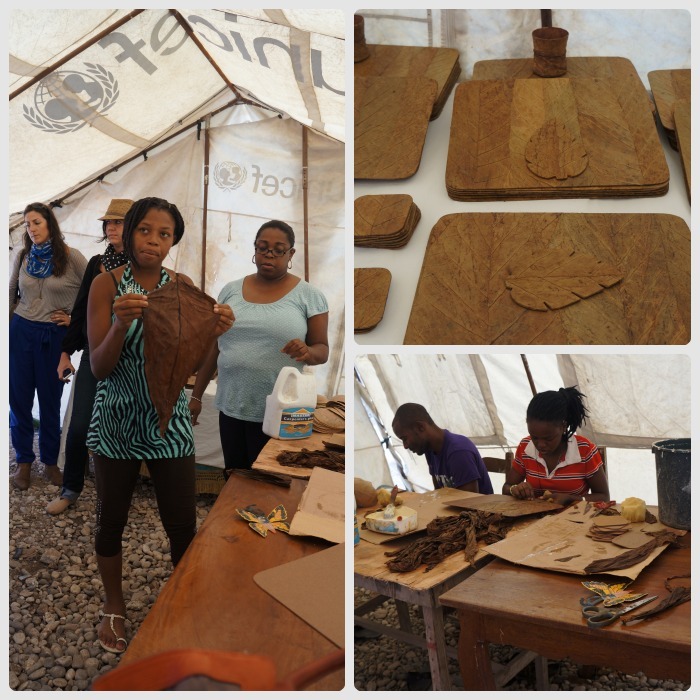 They were eager to bring the products of these Haitian artisans to market. 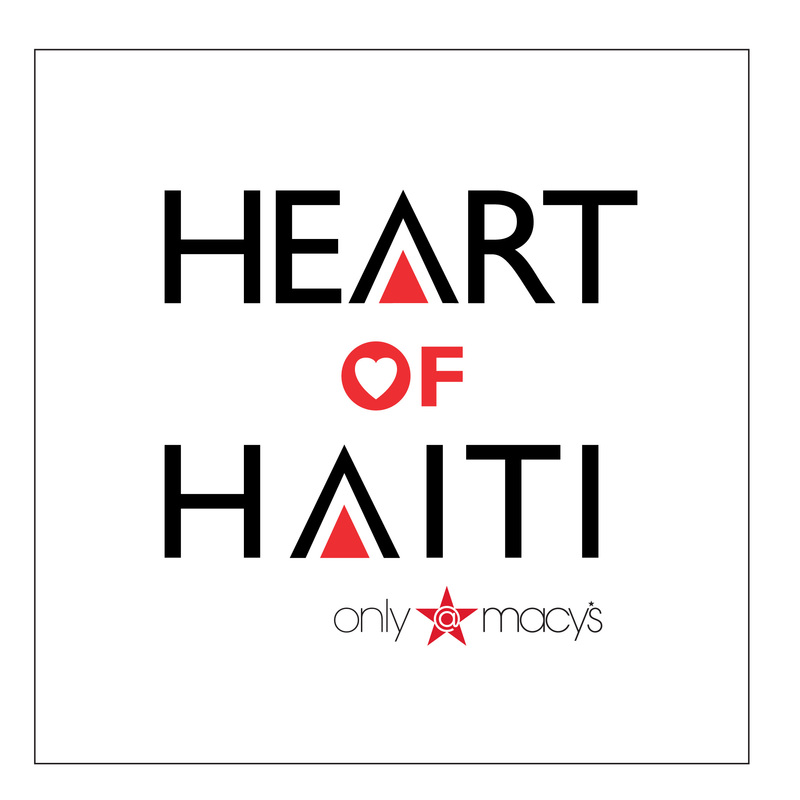 Macy’s launched the Heart of Haiti product line for sale online and in stores, including Macy’s Herald Square, Brooklyn Downtown, Metro Center, Chicago State Street, Northland Center, Seattle Downtown, Portland Downtown, San Francisco Union Square, Biltmore Fashion Park, South Coast Plaza Home, Mission Valley Home, Dallas Galleria, Lenox Square Mall, and Dadeland Mall. To date, Heart of Haiti has employed 400 artists. These artisans are able to create beautiful, unique items using only the scraps and materials they have around them. 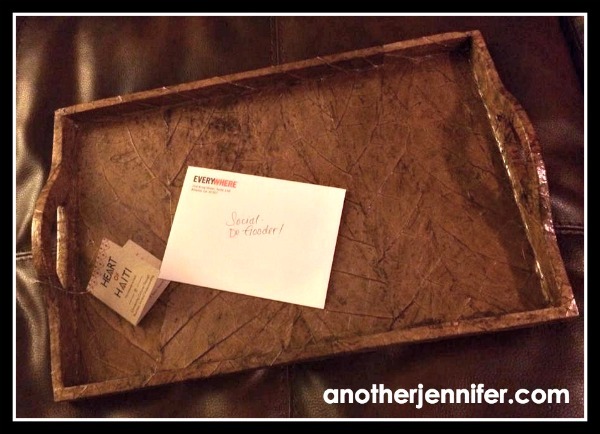 Materials like old paper, cement bags and tobacco leaves like those that were used to create my gorgeous tray. Every item purchased from the Heart of Haiti product line from Macy’s provides sustainable income for a Haitian artisan and her extended family. To put the impact of a Heart of Haiti purchase into perspective a bit, the average Haitian’s annual income is only $400 for an entire year. With an estimated 400,000 artisans (out of a 10M population) who rely solely on their handcrafted goods as a source of income, no other sector of employment even approaches such numbers. Macy’s, using a Trade-Not-Aid approach, has paved the way in helping to rebuild this important sector of a fragile economy. As we move into the holiday season, I urge you to consider gifts that also give back. Macy’s Heart of Haiti product line is beautiful, affordable, handmade and provides sustainable income for Haitian artists and their families. Janine Huldie recently posted..The Glass Half Full or Half Empty? thedoseofreality recently posted..Pinterest Nightmare #755: Sign Me Up! Oh this is just PRECIOUS!!!! My heart is soaked in sadness and inspiration from reading about Haiti and this amazing mission that offers hope and beauty and artistry all in one. Thank you for sharing this Jennifer- I am sharing so more people know about it!! Great post! I am going into the holidays feeling thankful for friends and family too ! The tray is beautiful! I was so excited to be introduced to this product line and what they mean. I just took a look at the items, and they are so beautiful and affordable! I am doing an ornament exchange, and now I know what I’m going to get my partner 🙂 Thanks for sharing, Jen! Wow, it’s so amazing what they create. I’m thankful for so very much – friends, family, and doing what I Love. Tamara recently posted..There is a Third. I love Macy’s. They are such good stewards. They are also great supporters of the March of Dimes. I will check out the line and see if I can find something for someone on my gift list. Thanks for sharing this. As for me, I can’t even begin to count the ways in which I am thankful this year!